After much pondering, research and debate we at PawByte has decided to open up the flood gates to Game Pencil engine and make it free. No royalties or “Deluxe Editions” going forward. The price to pay will be $0, the definition of free. We have already updated our Itch.io page to reflect these changes. We plan to keep supporting Game Pencil going forward, we just decided that our top priority is to make video games and having a commercial game engine as an income source can slow down actual game development. We are working on version 1.12 of the engine to be released in September and going forward we will provide monthly and emergency update to the engine and editor. 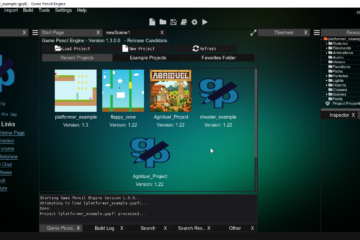 Game Pencil’s run-time for exported games has always been open source; but the editor has been closed source. We are now moving forward to release the source code to the editor as well. 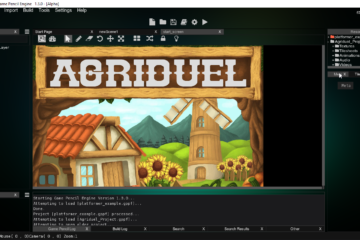 Created by open source technologies like SDL; we believe we can help the advancement of the editor+engine to do things we never had the time to do or even forknew. The release date for the editor’s source is not set yet; but we are eagerly making the necessary steps to ensure all console-specific code is stashed away from the code base. Our second plan will be to also make the GUI library we created also an open source project. This will be after the original source release of the editor, as many of the classes, functions, etc is not separated from the editor code. Going forward our hope will be that the community and PawByte can keep improving on the Game Pencil editor and runtimes so that more great features can be added to them. It has been a pleasure working on Game Pencil alone; but now the engine has outgrown this one programmer.